Electric punch plastic comb binding machine eases the binding process with foot operated punching. Fully disengageable pins for punching different paper sizes. 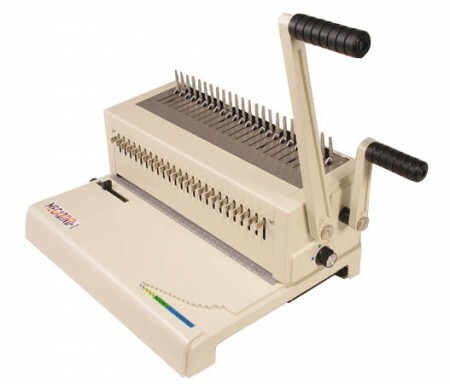 2 manual plastic comb binding machine features a handy wire closer to assist in the binding process. Fully disengageable pins for punching different paper sizes.